Write the image to a 64MByte compact flash card, and boot. Use minicom as a console on the serial port at 38400,8,n,1. 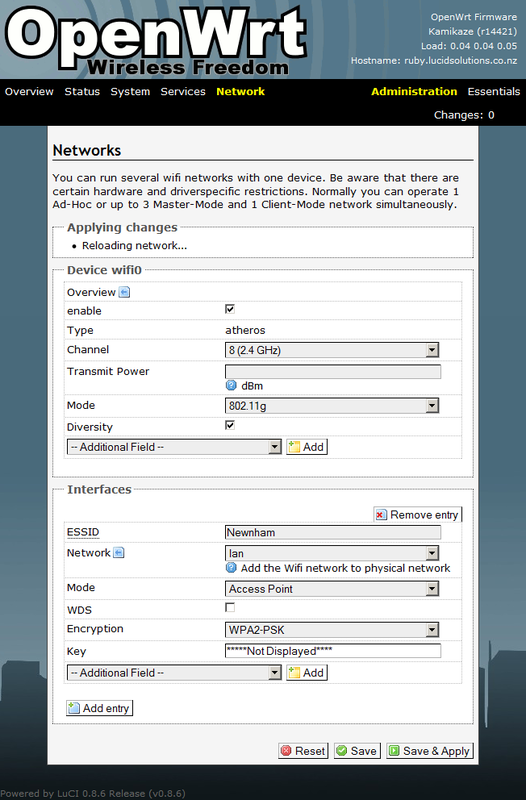 Configure the wireless interface for WPA2 with a PSK. VERY IMPORTANT: Using the ath5k driver failed to achieve a positive outcome (a lot of wasted time). The driver is close to being fully functional, but the interface didn't come up automatically. 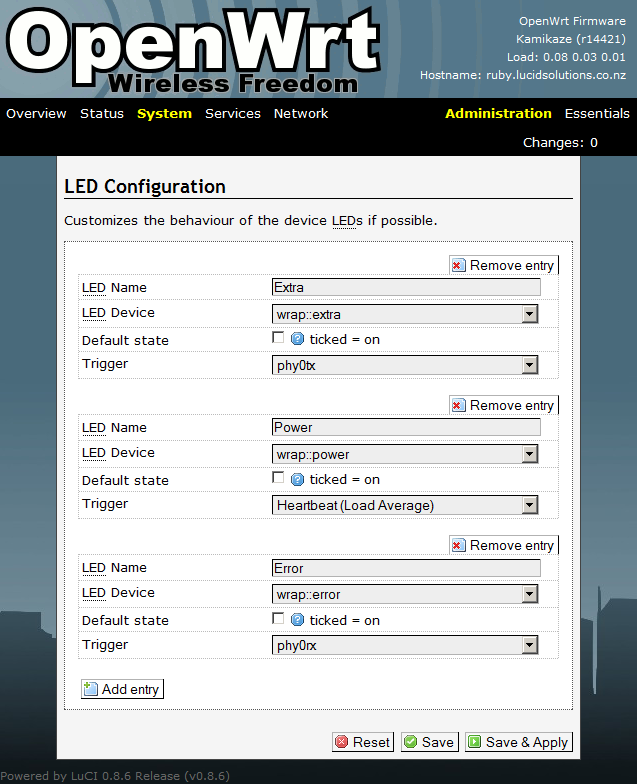 This setup uses the madwifi kernel module. 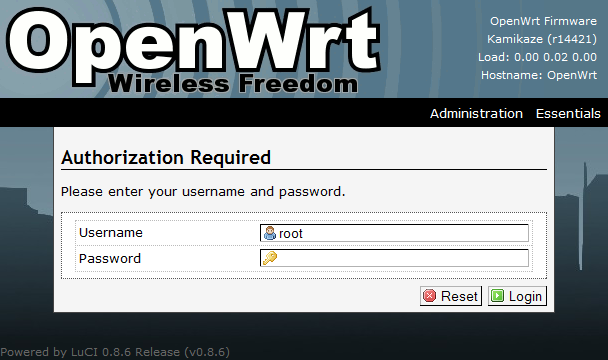 Note that the type for wadwifi in the configuration file is 'atheros', whereas the type for ath5k is 'mac80211'. With the kmod-leds-wrap package installed, it is possible to configure the LEDs on the Wrap. e.g. hda: applying conservative PIO "downgrade"
split_squashfs: no squashfs found in "rootfs"
natsemi eth0: NatSemi DP8381 at 0x80040000 (0000:00:0e.0), 00:0d:b9:00:0f:10, IRQ 10, port TP. natsemi eth1: NatSemi DP8381 at 0x80080000 (0000:00:10.0), 00:0d:b9:00:0f:11, IRQ 11, port TP.